New to our ESD chair range is a bariatric ESD chair manufactured in the UK for users with large and/or heavy stature. 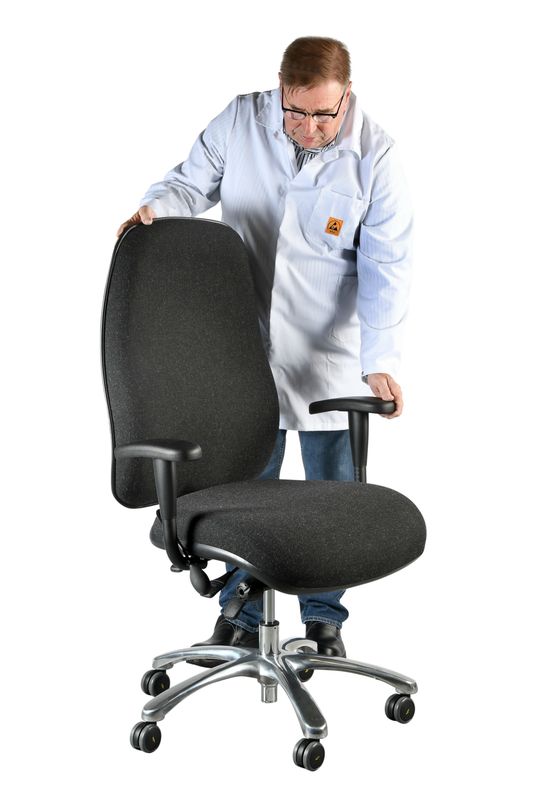 This sturdy and robust chair is designed to make the user feel both comfortable and secure while working in an EPA and has been tested for use up to 50 stone. The gas lift chair is available with either static dissipative fabric or static dissipative vinyl upholstery and can be supplied either with conductive castors or conductive glides. Each chair is tested for conformance to BS EN 61340-5-1:2016 prior to despatch. Click here for details and prices on Bariatric ESD Chairs.